I just read this article and thought you might want to give it a read, too. It\'s called These up-and-coming hot spots have the coolest hotels in America and you can find it here https://www.orbitz.com/blog/2016/07/these-up-and-coming-hot-spots-have-the-coolest-hotels-in-america/. Oxford, Mississippi has a long literary legacy, in large part due to the works of one William Faulkner and other artistic revolutionaries. Of course, over the years, the home of Ole Miss has also been known as being somewhat rebellious, albeit not always for the good. These days rebels of the more creative sort, as in musicians, visual artists and writers are finding inspiration in Oxford’s rich history and small town appeal. The Graduate Oxford takes on the town’s Southern preppy style, with subtle design touches that play up to local athletic, cultural and historic traditions. 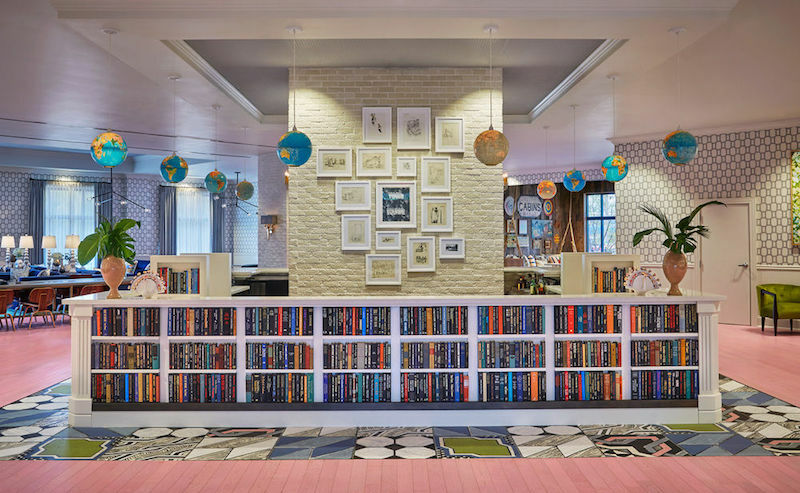 The Library Sports Bar pays homage to bookish traditions, as does the lobby, which is stacked with vintage reads. But worry not, this is not a stuffy place. Colorfully-patterned carpets, furniture and walls make the Graduate Hotel novel and fresh. Best known as the home of Walmart, Bentonville is rapidly becoming an Arkansas cultural capital. While only the 10th largest city in the state, the place packs an artsy punch. The 21c Museum Hotel reflects the city’s new zeitgeist. 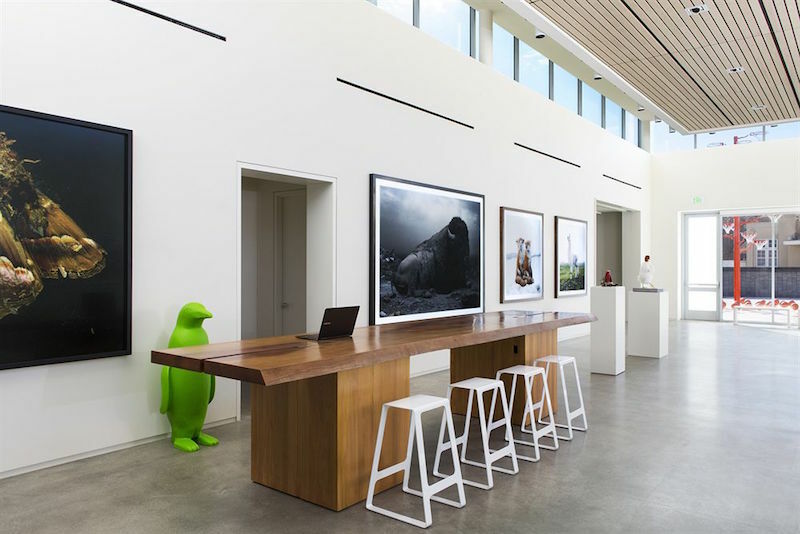 Located near the Crystal Bridges Museum of American Art, the 104-room hotel is a cultural civic center and contemporary art museum in its own right. The gallery space showcases rotating exhibitions of regional and avant-garde artists while the guest rooms dazzle. Even the food here is art of a sort. The hotel’s restaurant, The Hive, is headed up by a James Beard Award semifinalist who serves up refined country cuisine. There are also 21c hotels in Louisville, Cincinnati, Lexington, Durham and Oklahoma City. Perhaps due to the fact that it’s the most geographically-isolated urban area in the lower 48, Boise, with a metro population larger than 600,000, has developed in a highly-individualistic way. The Boise way, which includes amazing recreational opportunities and a growing arts and food scene, is drawing folks in as never before. The Modern Hotel reflects the city’s development from rural backwater to metro hot spot. The inn has its origins in the not-so-modern days. During the Great Depression, a former sheepherder opened a Basque boarding house called The Modern in nearby Nampa. The granddaughter of that early hotelier crafted a new incarnation ofthe Modern out of a run-down Travelodge. 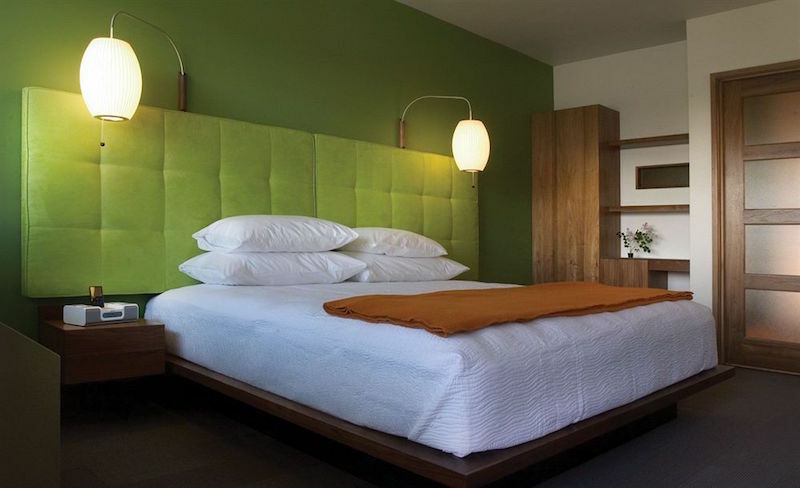 Located in Boise’s au courant Linen District, some of the features include Japanese soaking tubs, walk-in rain showers, locally custom-made fabric headboards and bubble lamps. The Modern’s landscaped interior courtyard and its curved walnut bar are both places where locals like to mingle with out-of-towners. Milwaukee is hopping, and not just due to its beer scene. Wisconsin’s largest cityis transitioning from its Rust Belt roots into a center of urban cool. The Iron Horse Hotel is one extension of the trend. 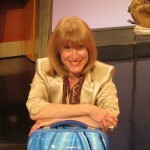 While the term “Iron Horse” once referred to trains, in today’s pop culture, it is more associated with the motorcycle. With the Harley-Davidson Museum just blocks away, hipsters meet hogs at this hot rod hotel. Originally built as a mattress factory in the early 1900s, the property opened as the Iron Horse in 2008 and is now considered by many to be Milwaukee’s best hotel. Unique touches are everywhere, including the Charles Dwyer Americana Flag, hanging in the lobby. Look closely—it’s crafted from 32 and a half pairs of jeans. 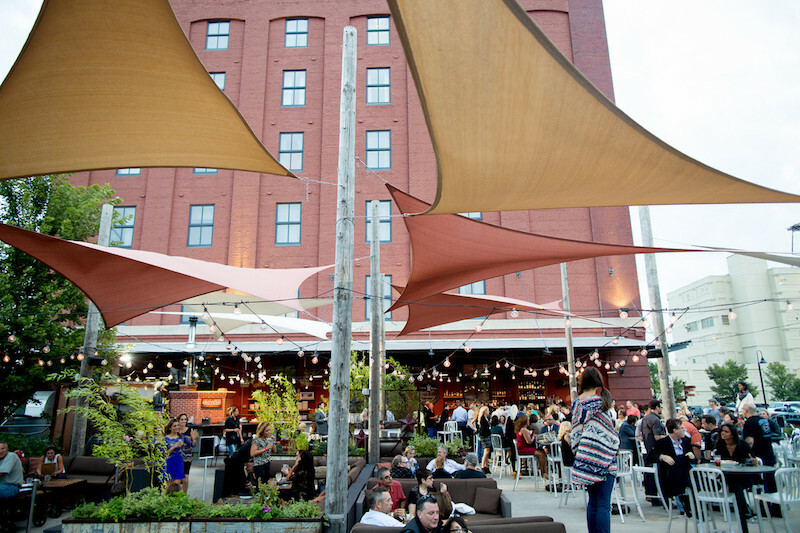 Check out The Yard for live music or grab a gourmet bite at Smyth, one of Milwaukee’s top restaurants. Long overshadowed by its neighbor to the north, Long Beach is undergoing a major renaissance. Downtown is being redeveloped with a range of modern buildings, including a sleek courthouse, luxury apartments, and retail and outdoor space. 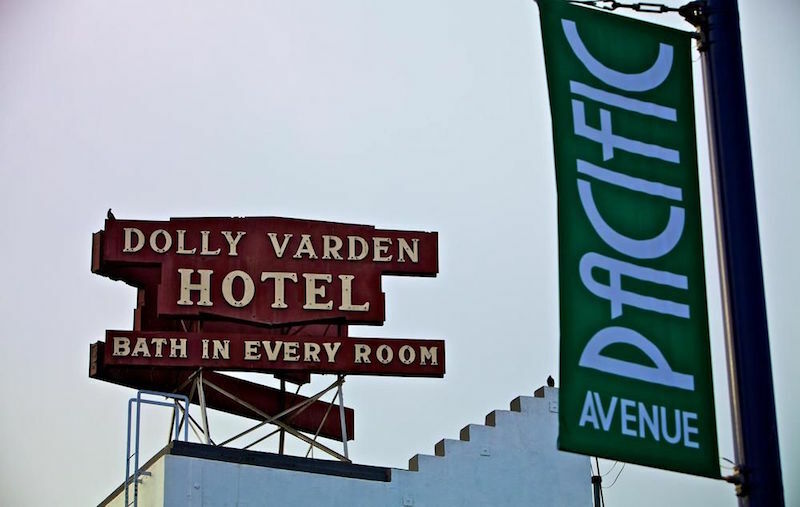 The Varden Hotel, dating back to 1929, sits in the middle of it all. When given historic landmark status in the 1980s, the property had fallen on hard times. But, just as Long Beach started reawakening about a decade ago, The Varden was bought, renovated and reopened. 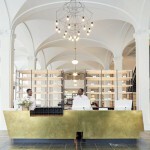 It’s now a European-style boutique hotel with nods to historic chic. For example, the check-in counter, the windows and railings are all retro originals. The property’s black and white landmark sign was recently restored to its original glory and at night graces the downtown skyline with red and blue neon lighting. The former capital of the Confederacy has risen again, but this time in a distinctly all-American style. Richmond’s recently-designateddowntown arts and design district is filled with boutiques, galleries, street art and even tattoo parlors (Richmond is said to have the most tattoo parlors per capita in the United States). Richmond’s hottest hotel sits in the middle of it all. The Quirk Hotel is reminiscent of a Barbie dream house on steroids. 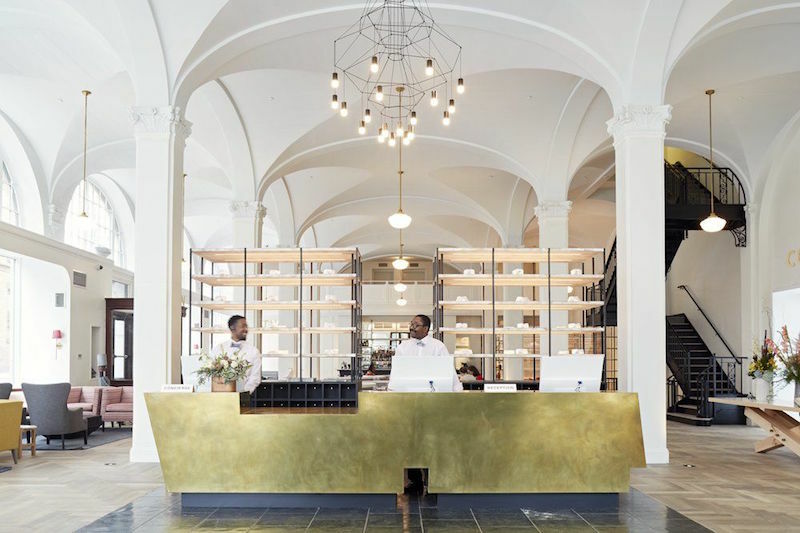 The hotel was re-imagined from an Italian Renaissance-style building that originally opened as a high-end department store in 1916. A pink and gray color scheme runs from the high-ceiling lobby/restaurant area to the cozy rooms. Custom beds are made from the salvaged floor joists of the original building, and the hardwood floors are also largely original. The lobby features a massive work of art made from discarded coffee lids, while abstract paintings are showcased in guest rooms.